Have your eBooks & StoryCubes professionally printed and bound/die-cut in short runs. From 25 copies per eBook, and 50 copies per StoryCube. Full colour A6 or A5 saddle-stitched (i.e. staple-bound) books on high-quality sustainably sourced, FSC-approved paper (uncoated matt stock 250gsm covers, 120gsm content). Minimum print run of 25 copies per title. 10% discount on orders of 10+ eBook titles. Contact us to order larger print runs. Turnaround : 5-7 working days from receipt of payment for UK orders; 6-8 working days for European Union; 8-10 days for North America; and 8-14 days for Rest of the World. Full colour (single or double sided) on high-quality sustainably sourced, FSC-approved 350gsm silk card, die-cut to shape and creased for easy construction. 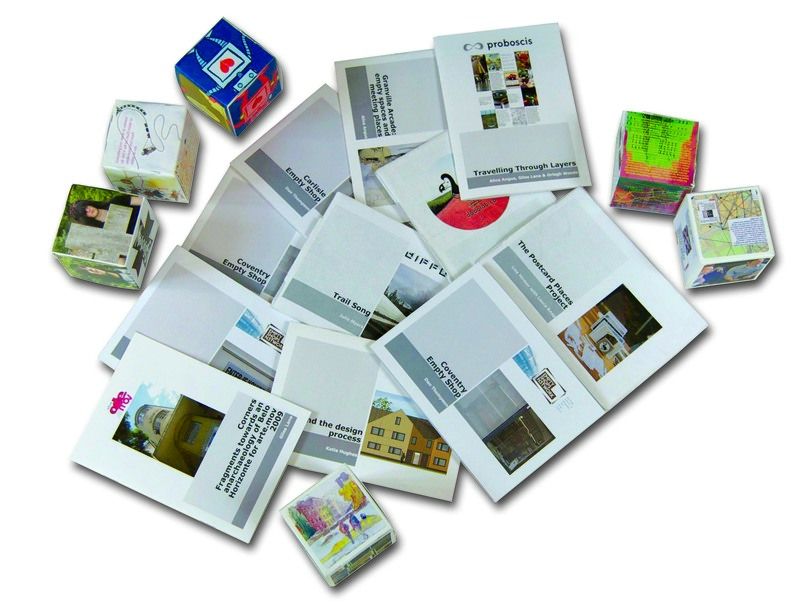 Minimum order : 500 full colour cubes (single or double-sided). You can order multiple cube designs in batches of 50+ per design to complete the minimum run of 500 (for instance, 5 different cube designs of 100 copies each, or 10 cubes of 50 copies each). There is a small set up charge for each design. Contact us to order larger quantities. Turnaround : Once your order is completed and payment received, turnaround should be 5-7 working days for UK orders; 6-8 working days for European Union; 8-10 days for North America; and 8-14 days for Rest of the World.